There’s a very good chance Vandy will do worse. We can all hope they do worse! Living in the Mid-State I really have enjoy this season, my Vols killing it and Candy losing every conference game! It would create a lot of positive buzz initially, but i think there would be plenty of challenges to overcome. I also think coaches would resent having to recruit against her for a variety of reasons. I think it would be a huge gamble. It will never happen. 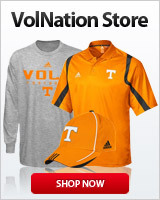 Not unless Vandy wants their program to tank even further than it has. It would be a big gamble, however it could bring great reward for Vandy and the conference if she were to do well. With that premise I'd also think if she were to be successful at Vandy it would be a quick stepping stone. Possible crash or splash is my take. If she lost badly at Vanderbilt it could badly damage the chances of women trying to coach in men's sports for a long time to come. It would be a completely stupid hire. And Vandy can’t afford to gamble. Once they were the hardest ticket in town with a 15k arena. Now they’re lucky to draw 8k unless it’s Ky or Tennessee. They need to hire an established college coach. Maybe Florida will hire her next year? Disagree, given your particular choice of words. She has won how many college basketball games? I’m gonna go with zero. Humorous, but another reason it would be an insane hire. Fred Hoiberg worked in an NBA front office, stepped into the college ranks at Iowa State and dominated there. She's more than qualified for the Vandy job. Who was the last SEC hire of a first time ever head coach? Why would the conference matter? If it can work in the Big 12, it certainly could in the SEC. Lots of people have been hired from Duke's staff, including Wojo to Marquette. I'd say a Spurs assistant has a stronger résumé than that. To layer on top of being the first woman coach along with never having been a college coach would be an absurdly stupid hire. If your one example is so great, where was the mass effort to repeat it? Memphis did it. Nevada did it with Musselman and that's worked out well. Georgetown did it. I'm sure there are plenty more. Awesome examples so far. Don't hold your breath, it isn't happening in the SEC, as has been shown. Most of what you cited above is also hiring of favored sons of the program. Hoiberg, Wojo and Musselman are all very successful examples. Frank Martin had never been a HC before becoming one at K-State and he's a very good one. Boeheim was a first time HC, as was Tom Izzo. Roy Williams had never been a HC and then stepped right into the Kansas job. But sure, even though it's happened in much better conferences, the SEC (and particularly its last-place team) is too good to hire an assistant coach. Great point. Make you a deal, your next reply to me is when this idiocy happens. That should end this conversation. You fail again. Perhaps the term "idiocy" got past you. It will not happen because it would be such a stupid hire.